If you want to have the ultimate rally car experience, a gift voucher from Phil Price could be the perfect Christmas present this year. Our driving instructors can teach you how to handle the tightest corners, master drifts and much more, enabling you to have the ultimate rally car experience. Just like in Scandinavian flicks, you’ll be driving in the most high octane way imaginable. Our day finishes with a competition against other participants, with the possibility to walk home with the winner’s trophy. 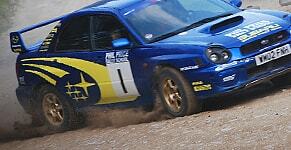 Nothing beats a genuine rally driving experience like you’ll enjoy at Phil Price Rally School. Ideal for anybody who wants to give an original Christmas present, our gift vouchers are your ticket to an intense and unforgettable experience. 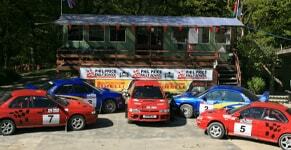 Phil Price Rally School have one of the most dramatically wonderful rally stages in the UK which is regularly used by rally works teams for pre-event testing. Coupled with the most passionate instructors, you or your loved-one is guaranteed to have an incredible time. Get ready for one of the best driving experiences of your life and discover more about our awesome driving experiences today.